Both our pets are rescues. 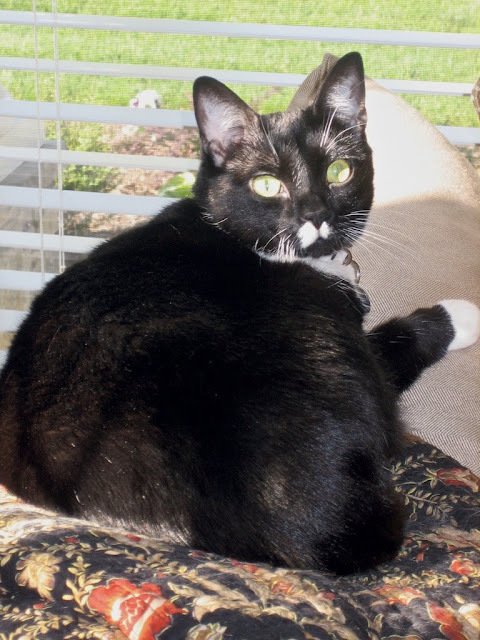 We found Chloe wandering in our neighborhood one hot August morning in 2003. She had just given birth to puppies and had clearly been both abused, and neglected. Our intention was to nurse her back to health and then find a good home for her, but it didn't take long before her sweet demeanor won us over. 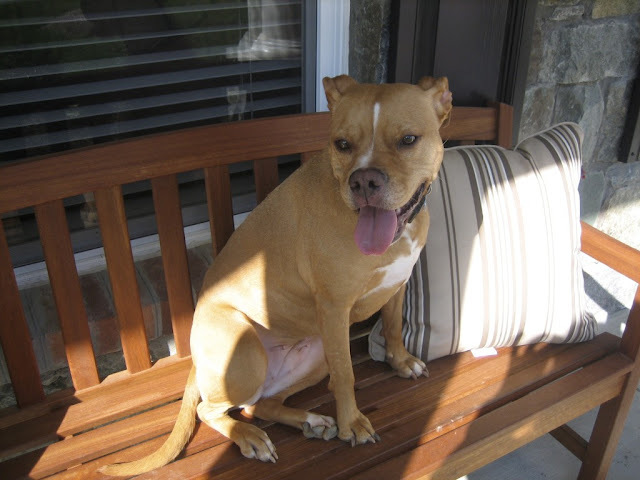 A few months later we came across Maggie-Moo, who stole our hearts when she was just 7 weeks old. Before Roscoe was born, one of the things that I really looked forward to was the relationship that he would share with his dog and his cat. 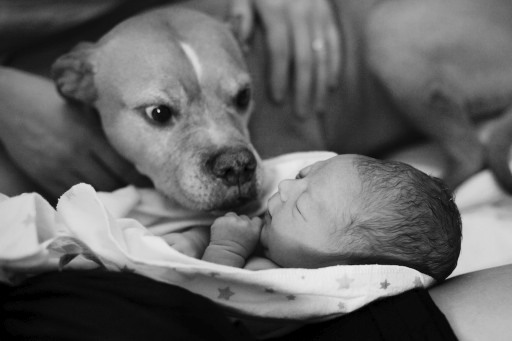 Chloe snored through Roscoe's birth until the very end when his new cries startled her in her slumber, eliciting a series of barks that joyfully welcomed Roscoe into the world. Maggie, on the other hand, kept her distance for quite some time. Only warming up to Roscoe in the last couple of months. Roscoe's curiosity in his furry friends has blossomed into full-blown fascination. He searches for them. He calls for them. He chases after their tails, pulls at their legs, and lays with them on the floor of his nursery every chance he gets. This week, in addition to crawling, Roscoe mastered his first words: cat, and dog. Of course he's been babbling da-da for a month or so, but he doesn't seem to be have associated the term with his Poppa. Cute, right?! He even recognizes Chloe in photos. It's really very sweet to see him connect words to familiar things in his environment. 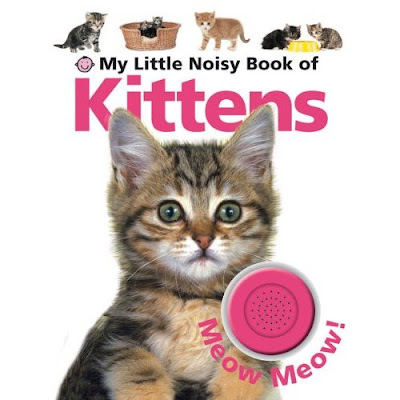 After searching for a book about "kitty cats", as we call them, I found one called My Little Noisy Book of Kittens, which is a board book with color photos of kittens and a "meow" button. Roscoe LOVES this book! He has many books that he really enjoys, but none quite like this one. He turns the pages on his own, and pushes the meow button, all the while laughing and flailing his arms and hands in excitement. He points out each kitten as he goes. Some boys like trucks! Some boys like robots! Our boy loves kittens!